Did you purchase a new PC or laptop to get a faster, leaner and optimized machine to get the best performance only to find the new machine heavily loaded with all that unwanted, junk and promotional software you never wanted? Did you ever imagined that the first thing you seriously wanted to do on a brand new machine will be to run a System Cleaner software to find and delete all that promotional stuff. Worry not. There is a help around. SlimComputer, true to its name is a freeware utility made just for that purpose. The only difference is that it can performance equally good on an older PC as well to give you leaner and optimized computer system. SlimComputer’s installer includes a fully portable installation for a USB drive, a nice touch since SlimComputer is great for helping out technophobic friends. You can also install the portable version from the program’s Settings, including a scheduler, updates, and logs. 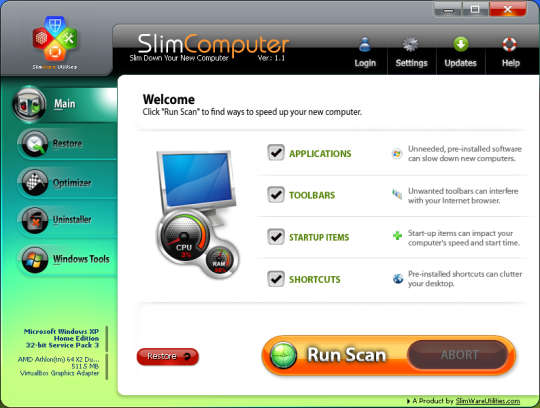 To get the latest profiles on all the new software, SlimComputer uses an online data cloud. This cloud is community-sourced, which means that it evaluates programs based on hundreds of ratings, some by tech professionals and others by users who’ve used the programs and want to tell others about them. When SlimComputer assesses your PC, it actively streams data to the cloud, telling it exactly what sort of programs are installed. The cloud then streams back an optimization plan, customized to that computer. A Slim System – Get rid of the promo bulk that comes on a new PC. Applications – Remove unneeded, pre-installed software. 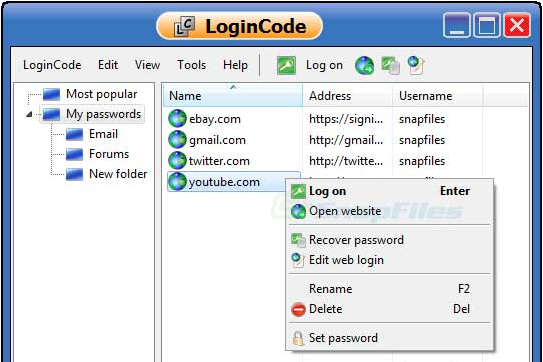 Toolbars – Remove un-useful Toolbars that can slow browsing. 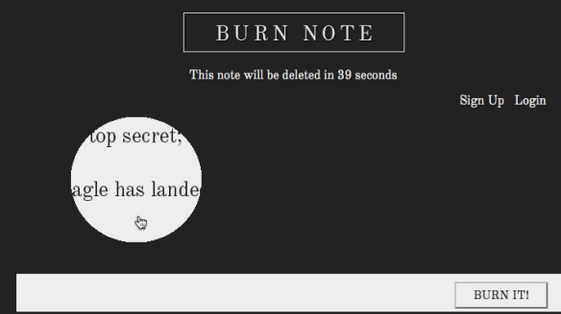 Startup items – Remove unnecessary Startup items to boost speed. 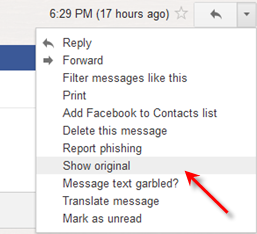 Shortcuts – Remove unwanted shortcuts that clutter your desktop. Restore – Undo any changes done by SlimComputer with one click. Optimizer – Tweak Startup & Windows services to boost performance. Uninstaller – Remove software based on community-sourced ratings. Great tool, for the best price…that is FREE.